Need to see and organize your label files from all of your apps in one place? 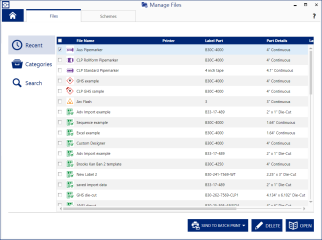 The Manage Files app lets you manage all of your saved files from one screen, with options to preview, categorize and delete your files without going into each app separately. 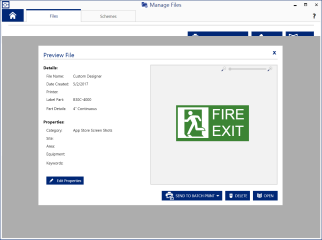 A file created with the Custom Designer Lite app could not be opened from the Manage Files app after upgrading to Custom Designer.